The audio of this RSA short is of Nobel Peace Prize winner Jody Williams. 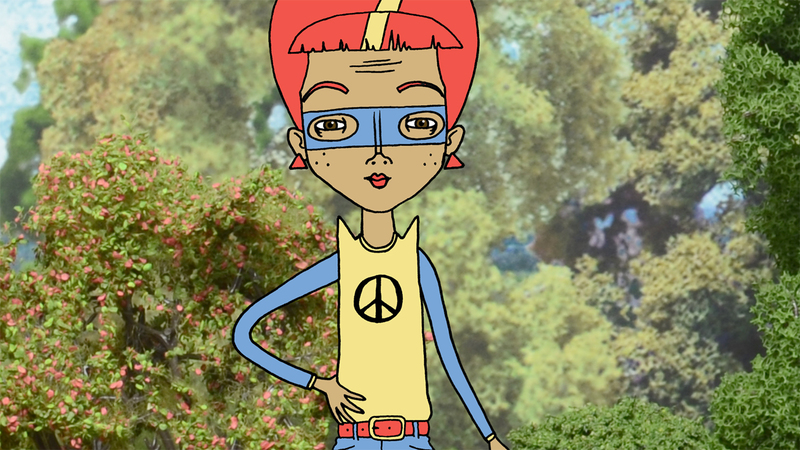 Jody firmly believes that each and every one of us can and should contribute to creating a better world. In this short Jody explains why it is so important to strive to make a difference. 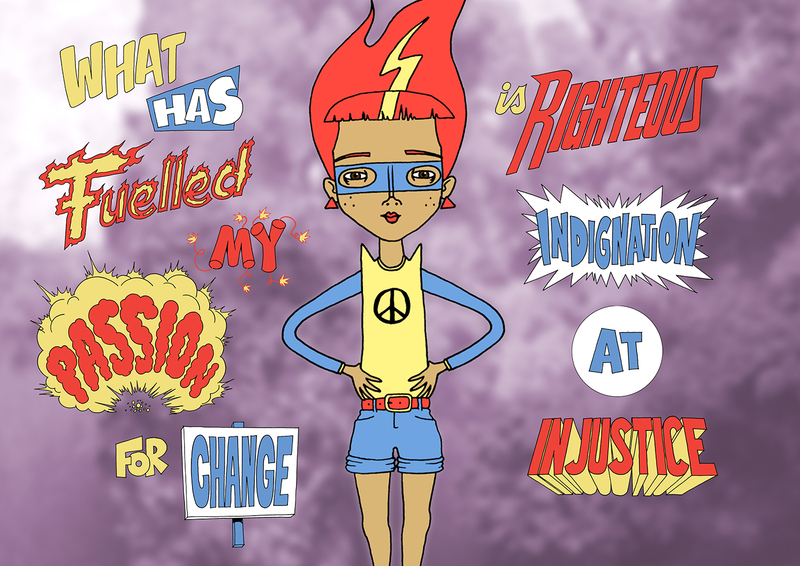 To create a fun and engaging short piece of animation alongside the audio snippet by Jody Williams, “Anyone Can Change The World”. The RSA sent over the audio snippet and let Katy loose with coming up with ideas/designs/plans for the animation. Complete creative freedom (what a fab client)! This was the second animation that Katy had created for the RSA. She wanted to create something completely different for this one. Katy had done a bit of research on Jody Williams and found out that a lot of her work focused on banning land mines. Katy discussed with the RSA whether to base the animation around this subject matter, in order to nod to Jody's work, or whether to be more liberal with the ideas so as to encourage people to think about what they can do to better the World. As well as thinking about the script for the animations, Katy wanted to do something different visually. This time, she decided to make a miniature set for her characters to ‘live’ in. Katy bought lots of little bits of furniture from doll’s house shops and then created backdrops in Photoshop, which were printed out. 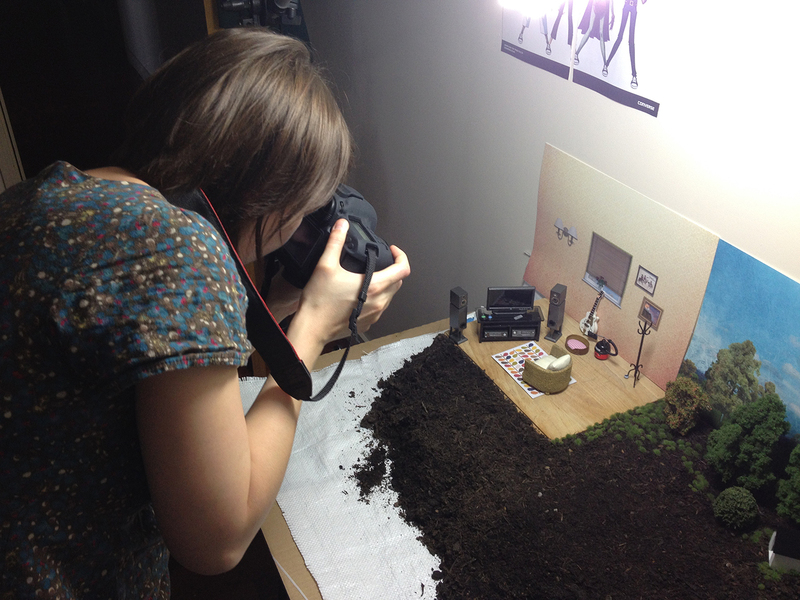 She shot the scenes, and did some stop motion photography of the mud for when the little dogs started digging.